VATICAN CITY (CNS) — Along with the Christmas-tree lighting ceremony and the unveiling of the Nativity creche, Pope Francis’ raffle to benefit those in need is becoming an annual holiday tradition at the Vatican. For 10 euros — about $11 — one lucky winner will win the first prize: a red Opel Karl, a German-made, five-door hatchback car. Announcing the raffle Oct. 20, the Vatican said that for the first time, tickets also will be available for purchase online. Previously, people hoping to nab a prize could purchase tickets only at the Vatican post office or pharmacy. 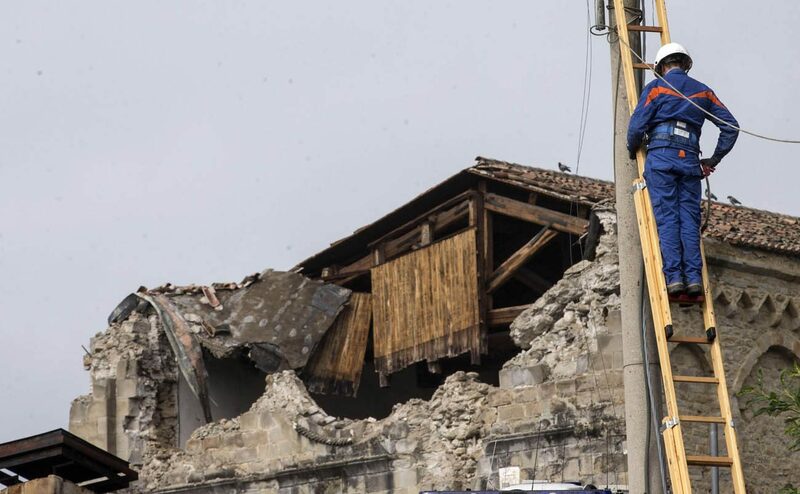 The proceeds of the raffles go directly to charitable causes chosen by the pope; this year’s raffle will benefit victims of the devastating earthquake that struck central Italy Aug. 24 and to the homeless. “To this end, he personally donated some of the prizes,” said a statement from the Vatican City State governor’s office. Other prizes include a Colnago professional racing bike, an Alassio wristwatch by Italian watchmaker Auxilia, a handmade hammock and a top-of-the line coffee machine by La San Marco. In addition, the Vatican announcement said there will be “more than 30 minor prizes” up for grabs. Tickets are available for purchase on the governor’s office website: www.vaticanstate.va. The winning tickets will be drawn Feb. 2 and published on the website as well.